My Mom, being the awesome Mom she is, sent along her instructions, with a couple of pictures, on how she makes homemade vegetable broth! The broth is perfect for soups, stews, rice dishes, Risotto, and pasta sauces! Pretty much anything if it isn’t rotten! Place the peels to a stock pot, add enough water to cover completely, then add ground pepper, bay leaf and a garlic clove. Cool the broth, then strain and discard (compost) the solids. 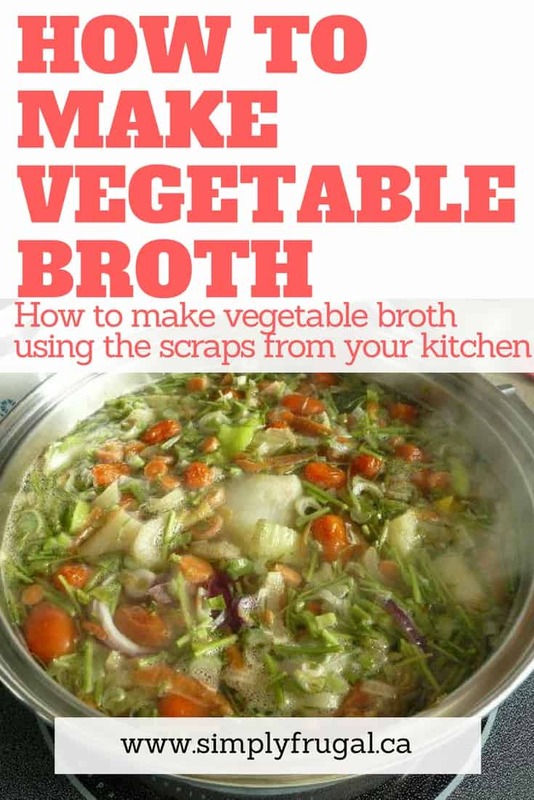 Pour broth into containers and refrigerate or freeze for up to 3 months. We all know, as we’ve been told so many times, that breakfast is the most important meal of the day. The reason for this is pretty simple: In short, your body hasn’t been fed for several hours and is craving for essential nutrients. It is recommended, for the average person, to get a minimum of eight hours of sleep per night. For this period of time, your body isn’t absorbing any nutrients and is considered to be fasting. Needless to say, if your body hasn’t been fed for so many hours, then it is even more important to feed it with the best possible ingredients first thing in the morning. Unfortunately, breakfast is often the most neglected meal. Most people end up having a pair of toast and a cup of coffee to get it done as quickly as possible, either because of a busy schedule or simply because of the lack of inspiration (or both, maybe?). 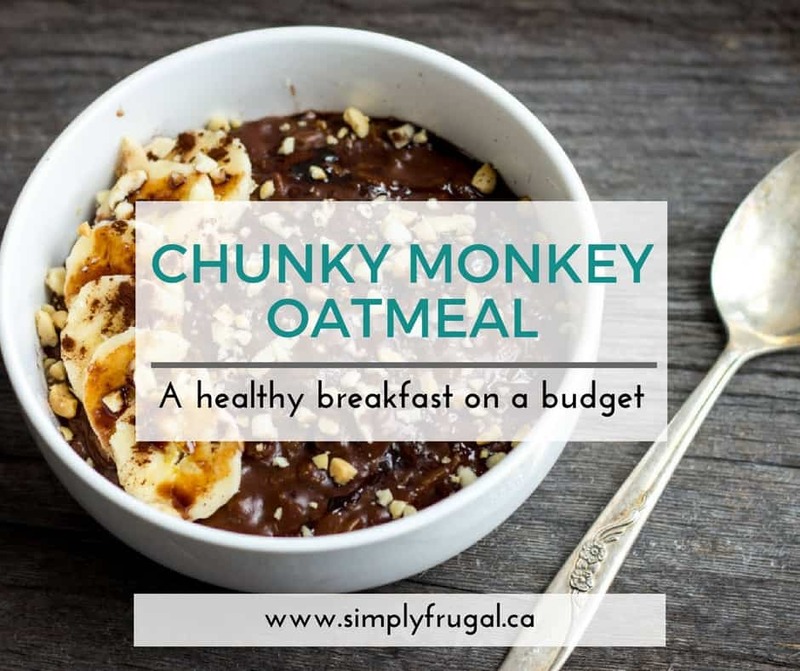 Well, today I am going to show a quick and healthy recipe that will rock your socks off: Chunky Monkey Oatmeal. 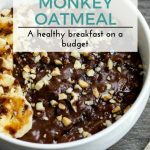 I promise it will change your mind about oatmeal, forever! What exactly is chunky monkey you ask me? Well, it’s a Ben & Jerry’s flavor consisting of banana, walnuts, and fudge… and it is delicious! So I decided that I would try this particular combination for oatmeal, and it turned out to be DELISH. 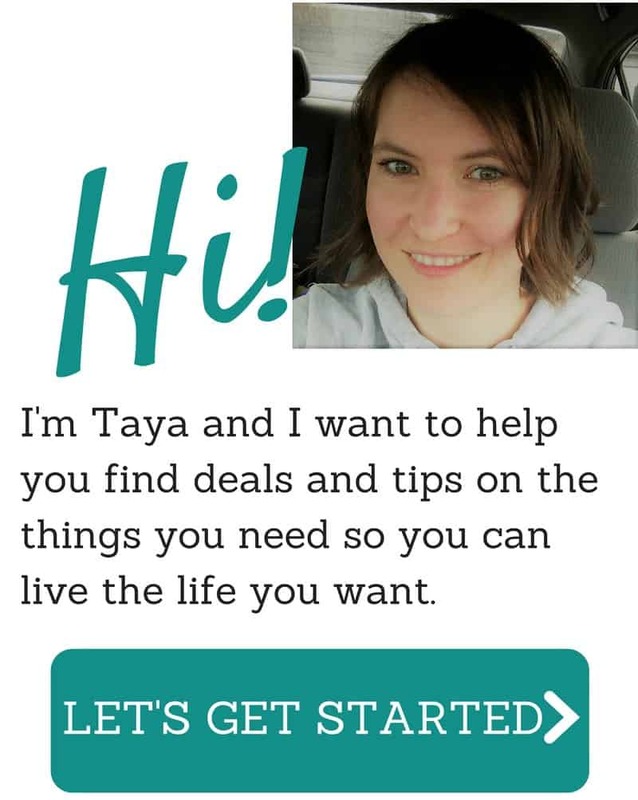 As a bonus, this recipe is very budget friendly! I swapped walnuts for peanuts in my version, as they are much cheaper. You could also use your favorite chocolate syrup instead of cacao powder to make this recipe a bit cheaper, or if you don’t have this particular ingredient on hand. Cacao powder is among the healthiest foods on earth though, so I really think you would be missing out, your choice! • Oatmeal is an excellent source of carbohydrates, protein, and healthy fats. This high-quality body fuel contains roughly 6 grams of protein per portion and a plethora of essential vitamins and minerals. It is also very budget-friendly, one of the cheapest breakfast options out there, period. Instant oatmeal packages is NOT a good replacement oatmeal though, it will not provide the same health benefits. There is a big difference between the two. • Cacao Powder is, like I said above, among the healthiest foods on the planet. It is full of antioxidants (40 times more than blueberries, can you believe that?!). It is anti-inflammatory, will balance your mood, make you happy, combat fatigue, lower your blood pressure, prevent cardiovascular diseases, and much more! Cheaper alternative: Chocolate syrup. Although, far less healthy. • Honey Is one of the healthiest sweeteners out there. Full of antioxidants, essential vitamins and minerals, it will never spoil. It will crystallize over time, but will still be perfectly edible: simply heat it back to its liquid form. Cheaper alternative: Brown sugar. Again, less healthy. • Peanuts are an excellent source of protein, carbohydrates and healthy fats which are often overlooked for being calorie-dense. But don’t be fooled by their high-calorie count per portion, as studies have shown that peanuts actually promote weight-loss. They are super healthy and very budget-friendly. • Bananas are an impressive fruit. They will boost your energy levels, boost your mood, help with digestion and improve your skin, bones and brain health. Bananas are also one of the cheapest (fresh) fruits at the store (if not the cheapest). Heat the liquids (milk, honey, vanilla extract) over medium heat in a small saucepan, stirring occasionally, until the mixture starts to bubble. About 7-10 minutes. Add in the oatmeal and cacao powder, mix well. Continue cooking, stirring occasionally, until most of the liquid has been absorbed. Remove from heat and add in the peanut butter, mix well. Serve in a bowl, top with banana slices and ground peanuts. Toppings on the picture: Banana slices, ground peanuts, a pinch of cacao powder and melted dark chocolate (optional). This blog post is a courtesy of Gabriel from One Clever Chef , a blog where you will find various healthy and simple recipes made with real food. These Healthy No Bake Energy Bites come together really easily and are sure to satisfy your snack craving! I have a friend that is expecting a new baby any day now, so I wanted to help her fill her freezer a little bit! 🙂 When I was in the hospital with my daughter, a friend brought by these delicious healthy no-bake energy bites. They were the perfect gift for a new mom! I was so happy to not have to think about what to snack on when I was trying to get everything with a new baby sorted out. These were so good I requested the recipe so I could enjoy them again. (And gift them to others.) They also freeze really well and take no time at all to thaw. I think they would be great for school snacks if you replaced the peanut butter with an alternative like [easyazon_link identifier=”B00DTGBHTK” locale=”CA” tag=”simpfrug-20″ cart=”n”]Sunbutter[/easyazon_link], [easyazon_link identifier=”B00PN26Z5E” locale=”CA” tag=”simpfrug-20″ cart=”n”]Wowbutter[/easyazon_link]or something along that line. In a medium-mixing bowl stir together peanut butter, honey and vanilla extract. Combine remaining ingredients and stir until evenly coated. Transfer mixture to refrigerator and chill until set. Store in refrigerator in an airtight container. Enjoy! I sure hope you enjoy these as much as we do! Now here’s a Christmas fudge recipe that will be great for gift giving! I think it would pair nicely with this Homemade Peppermint Bark! Pour the candy melts and the sweetened condensed milk into a large microwave safe dish. Add in the 1 tsp of peppermint extract. Heat in the microwave for 1 minute and stir. Heat for another minute and stir again, heat again in 20 second increments stirring if not completely melted. Immediately pour the melted mixture into the baking dish and sprinkle with the crushed candy canes (see photo). Allow the chocolate to cool at room temperature. Once it is cool, place the baking dish in the fridge (covered) to allow the fudge to completely set. Cut into 12 large squares or 24 mini squares. I sure hope you enjoy this recipe as much as we do! One of my favourite things to give as gifts is homemade edible goods. In my mind, it’s the perfect little something. It’s a treat as well as a gift that won’t take up room in the recipient’s home! 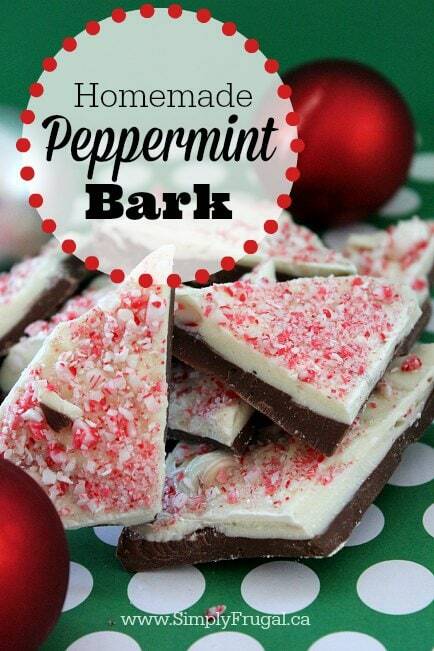 Today’ I’d like to share this recipe for Peppermint Bark. Not only do I love it because it’s tasty, it’s really simple to make! Place the Candy Canes in a Food Processor and crush or place them in a Ziploc bag and crush with a rolling pin. Melt milk chocolate chips in the microwave by heating at 50% for 1 minute and stirring until smooth. Pour melted milk chocolate chips into the pan and level. Melt White Chocolate chips in microwave by heating at 50% for 1 minute and stirring until smooth. Add peppermint extract to the white chocolate chips, stir. Pour melted white chocolate chips into the pan on top of the milk chocolate and level. Sprinkle crushed peppermint over the white chocolate. Break apart into pieces and put the pieces into gift bags for gift giving! What is your favourite edible gift to give? Expecting company for dinner? Impress your guests and be a kitchen superstar by turning bought jar sauce into homemade sauce in 5 easy steps! Making homemade pasta sauce does not have to be difficult. Especially if you “cheat” a little by using store bought jar sauce along with some other fabulous ingredients. That’s how my dad does it and it’s always delicious! I’m here today to give away his secrets so that you can turn a jar of store bought pasta sauce into a mouthwatering “homemade” pasta sauce. 2 jars pasta sauce – I like the “plain” ones with only basil added best. Cook ground beef and chopped onion together in a large pot until meat is cooked through. Shred zucchini and carrots while beef is cooking. Add the zucchini, carrots, mushrooms, sauce, dressing and spices to the cooked ground beef. Simmer over low heat for 2-3 hours, stirring occasionally. Serve over spaghetti noodles (or any pasta you like) or use in other dishes like lasagna. I usually like to freeze half of this batch for later use as a quick and easy meal. Bonus! 2 cups shredded zucchini - optional but I like to add because it adds some veggies in "disguise"